SALES: Guaranty is the largest RV dealer in Oregon and one of the largest in the nation with over 750 new and used travel trailers, fifth wheels, motorhomes and more. 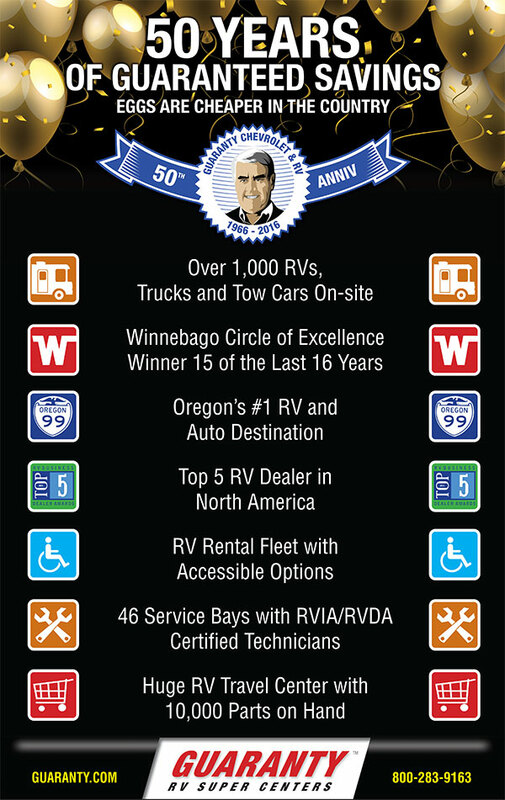 With 50 years of experience, Guaranty can find you the right RV to fit your lifestyle and budget. SERVICE: With 46 service bays, Guaranty RV is an authorized warranty repair facility for a wide variety of makes and models. The friendly staff and expert technicians go the extra mile to make sure your needs are met. Some of our techs hold Recreational Vehicle Industry Association Master Certification, the highest honor in the industry. Our chassis technicians are ASE Certified. If you live in your RV, you can stay in Guaranty’s campground for free during service. RENTALS: Guaranty is committed to providing you the best RV rental experience possible. Ask how we can tailor a package to fit your needs. An RV vacation lets you take the comforts of home on the road while you make lasting memories with family and friends. RV TRAVEL CENTER: Grab a drink and a snack at Guaranty Café and Grocery and peruse over 10,000 parts and accessories on hand. The expert staff can assist you in choosing exactly what you need and have it installed by a certified technician. You can also buy propane, do your laundry and compare notes with fellow travelers. 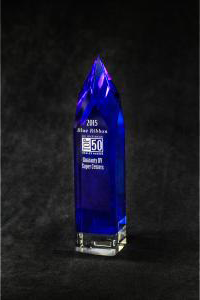 Founded in 1966 by Herb Nill, Guaranty is Lane County’s longest-standing Chevrolet dealer and has been named one of North America’s top five RV dealers by RVBusiness magazine. Nill’s famous “Eggs are cheaper in the country and so are cars, trucks, motorhomes and trailers” line quickly established the dealership among the most successful in the West.